I wake up at 6:50am excited for Ken’s House of Pancakes! 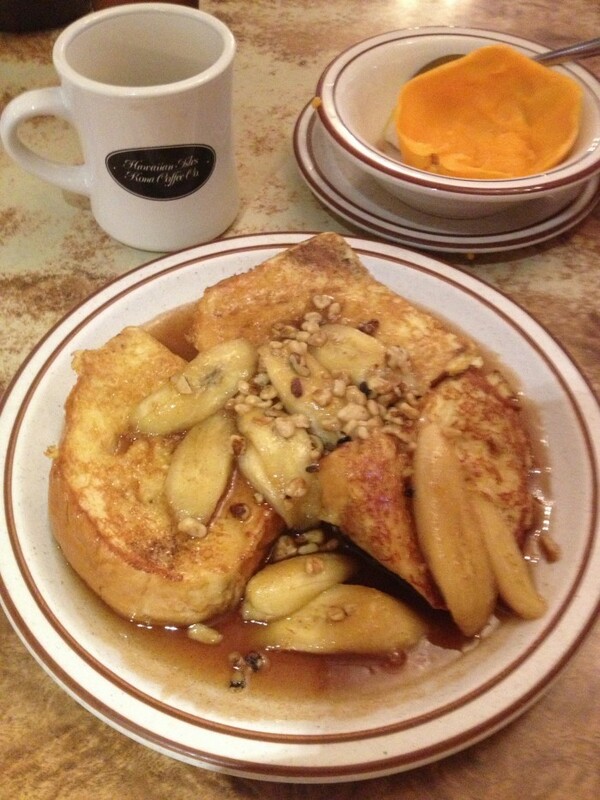 It is a popular local eatery and is open 24 hours! I bike over to Ken’s House of Pancakes and chow down! 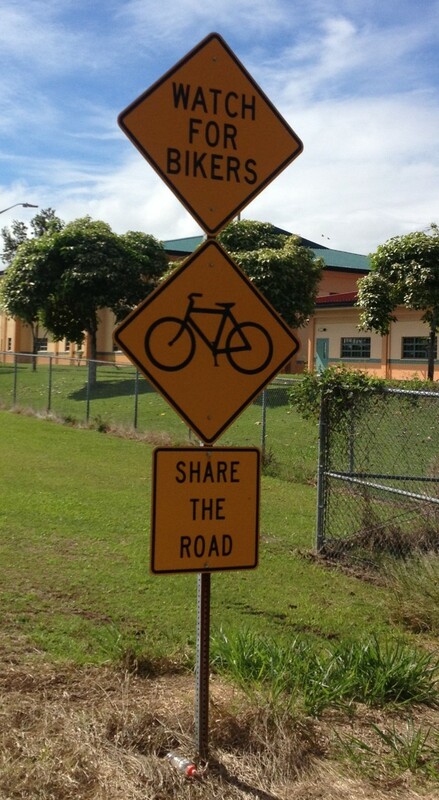 Afterwords, I cruise back to the hostel, pack my bags and cruise over to Hilo University. I meet with Kenzie, the Outdoor Edventure Program Coordinator and check out their program. It is sweet! They run scuba trips, sailing, hiking, surfing and many other outdoor based activities. 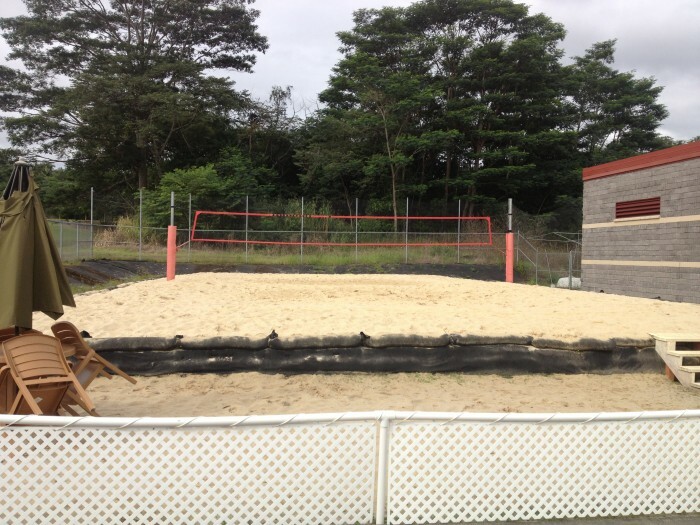 They even have a volleyball sand pit from Australia! Kenzie was very friendly and it was great to meet her! 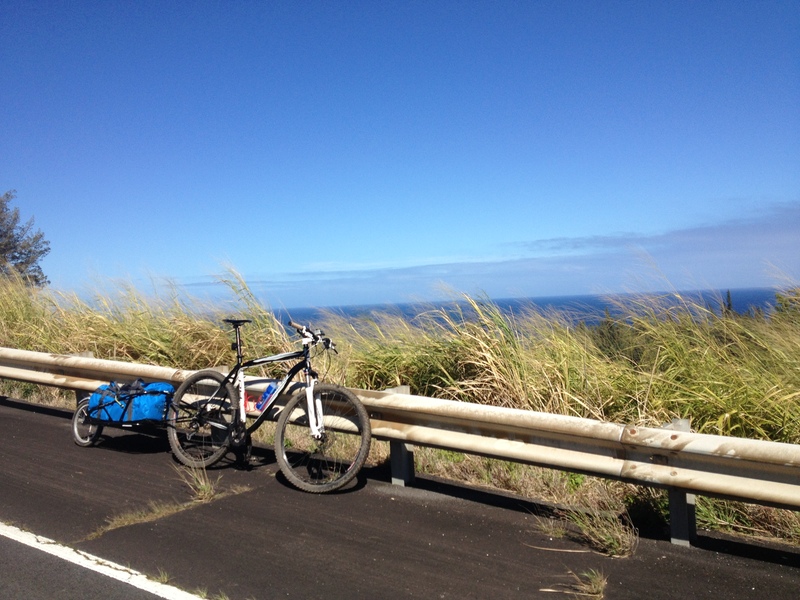 I left the University at about 10:30am and started to cruise on Highway 11 towards Pahoa. The highway has a great shoulder but cars are whizzing by at mach speeds! I make the 10 miles to Pahoa and stop at the local grocery market. I pick up lunch which includes a sandwich, pineapple and a iced coffee. This is also the only other place to refuel before the State park! So I pick up another sandwich and some trail mix food for dinner. Pahoa is a very small town with some shops and then has larger chain stores in the surrounding area. 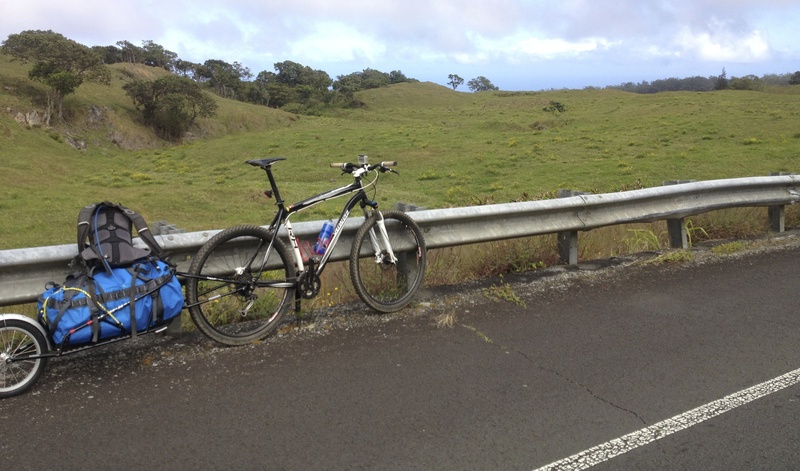 After Pahoa I merged onto highway 130, again very similar to highway 11 and lots of traffic. Then I merged onto highway 132, it is a lot quieter with fewer vehicles but the shoulder has a lot of debris which forces you onto the road. 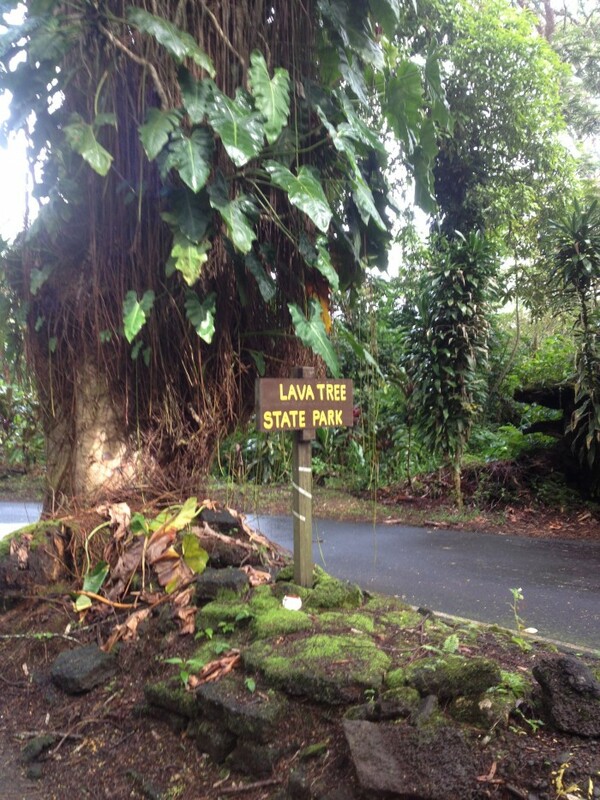 I make a pit stop at Lava Tree Park. It has a nice interpretive paved trail that I zip around on my bike. It feels like a roller coaster ride with quick inclines and declines. There are vertical cylinder shaped rock cones that were once trees until the lava flow came through the area. It was really nice to check out. I also met a couple from Switzerland that were traveling on the islands for a month and then headed to Australia! They were interesting to talk to. I also met Norman. He was a local in the area and shared alot of great beta on tide pools and things that I needed to check out. He was super knowledgable and funny. Following the park I kept heading closer to Mackenzie State Park. Highway 132 is also called, “Kapoho Road.” The highway makes a 90 degree turn onto highway 137 and you get to Ahalanui Park. Right before getting to the park. Dalen and his wife drove by in their car (they sat next to me on the plane), they stopped and and said hi. There was an evening farmers market called Uncle Robert Joe’s that they were going to check out and invited me. After seeing them I cruised to the park, that is where they had come from. 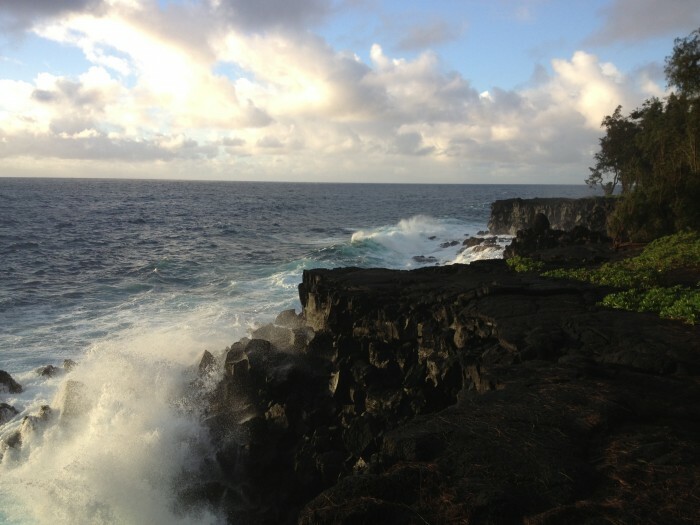 It is an enclosed tide pool that has warm water mixing with the ocean water. It is free and a great place to cool off and even has fish that are swimming around. I took my waterproof camera and got some footage of that. Sweet! The park is right on the ocean and you can hear the waves as they crash onto the surf. It was great! After checking that out I went to Issac Hale Park! There is a boat launch and you can walk onto a short pier and watch people surf! It was soooo kool! I wanted to try it so badly! But there were no surf boards available for rent or boogie boards. I got some great pictures of people surfing. I met a guy from Germany and ran into Norman again from the Lava Tree Park. 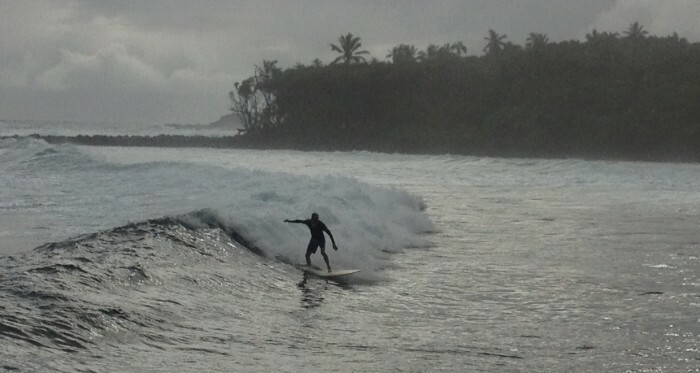 There were several rain showers that came through but I just sat and watched the surfers. It was such a great vantage point and it was the first time that I had seen any surfers on the trip. The waves were quite big… Now it is 4:00pm, I should get to Mackenzie St park and set-up camp for the night. The park is only 2 miles further down the road. I cruise there and find it. The road has very little traffic and has lush forest on both sides of the road. The state park is right on the ocean. There are 50-100ft rock cliffs. I look around for the campsites. I find a great spot and pitch the tent. I get myself situated and notice that my phone dies. Fortunately, prior to the trip Luc Mehl a professor at Alaska Pacific University lent me his Goal Zero solar panel. It has a battery bank that I am able to charge the phone from. The phone turns on and I get a text from Dalen, “My wife and I are headed to Uncles Roberts market for a bite to eat. We’ll be passing you soon if you want a ride there. ” Sweet! I text him back and say, “Kool! 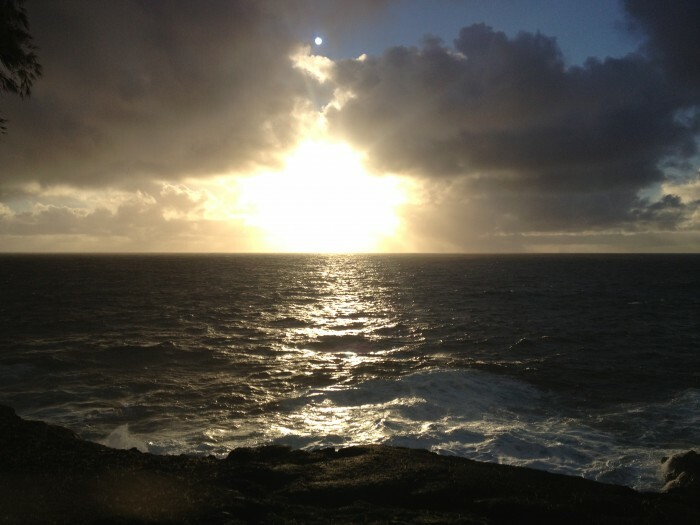 That would be sweet!” They arrive and we go to the end of the coastal road, 10 miles or so, to Uncles Roberts. It is a happening place! We drive onto an old lava field and park. Uncle Roberts is a local in the area. It was an evening farmers market with live music, great food and booths of locals selling trinkets of different sorts. It happens every Wednesday evening. It was great! I got pumpkin curry! It was unbelievable! Mouth watering! I can taste it now. I also got two helpings of Hawaiian Nanchos, Deep fried chips, pulled pork, tomatoes and this delicious sauce. I washed it down with a Corona and finished the night with a tropical smoothie. Not bad! The vibe was great and there were many other tourists checking it out. We did not stay too long but long enough to indulge myself and enjoy a hawaiian jam band! Thanks again Dalen and Deidre for allowing me to share that experience! They drop me off back at my campsite and it is pitch dark. They leave their headlights on so that I can find my tent. It is dry and I can hear the crashing waves. I get in my tent and fall asleep. Hookena Beach Park to Kona! 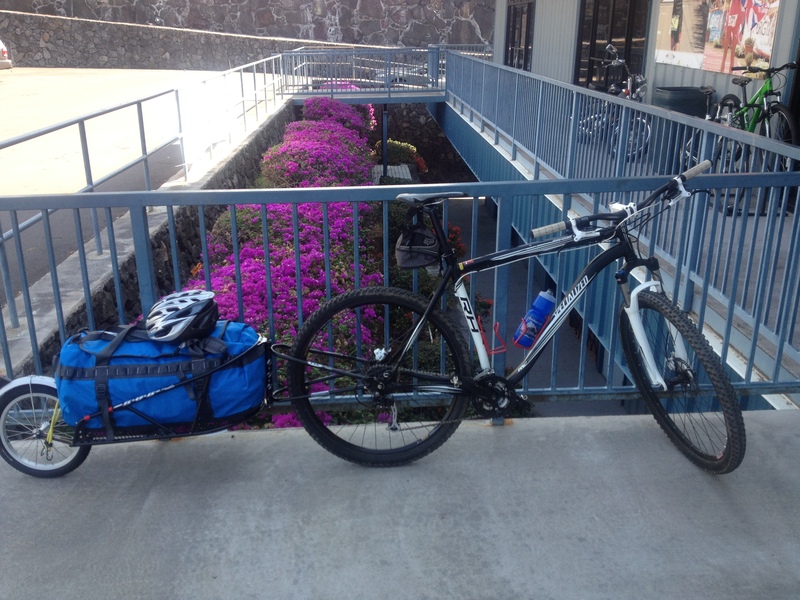 The biking adventure begins in Kona Hawaii!